This Carbohydrate Food Fact Sheet by the British Dietetic Association is worth a read. 1. 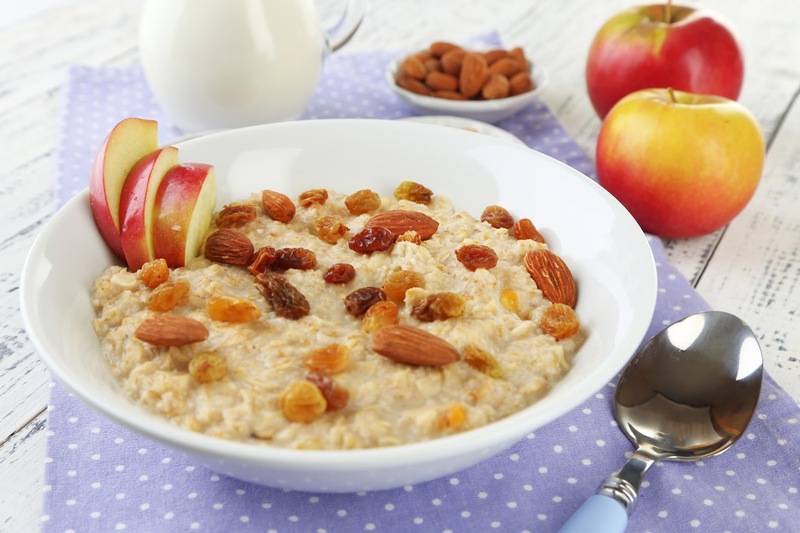 Grate the apple into a bowl and set aside just before you make the porridge. 2. 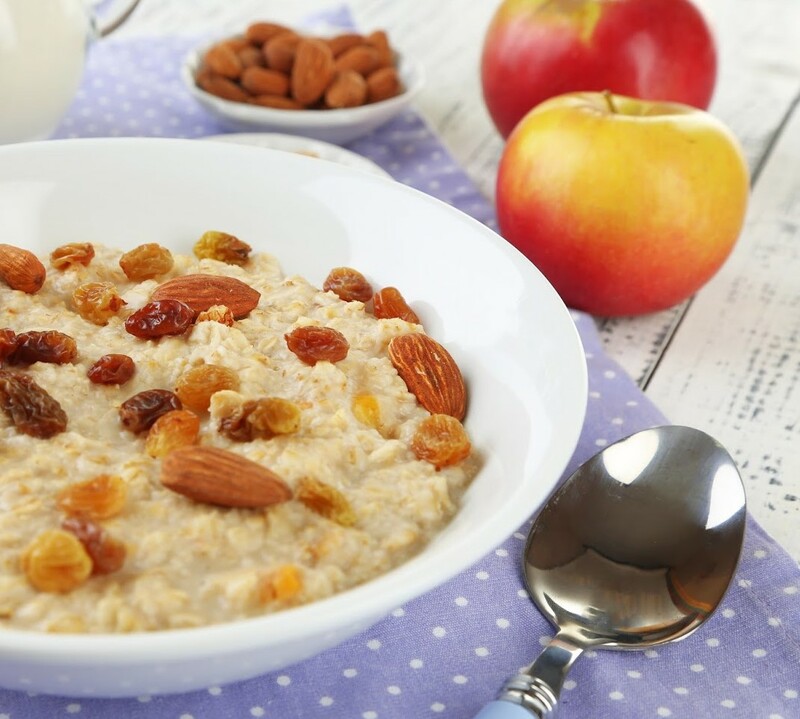 Put the oatbran in a small saucepan with 1/2 pint of milk and the apple juice, cook over a high heat, stirring continuously. 3. As the porridge starts to thicken add the raisins. 4. When the porridge has thickened, remove from the heat and stir in the grated apple. 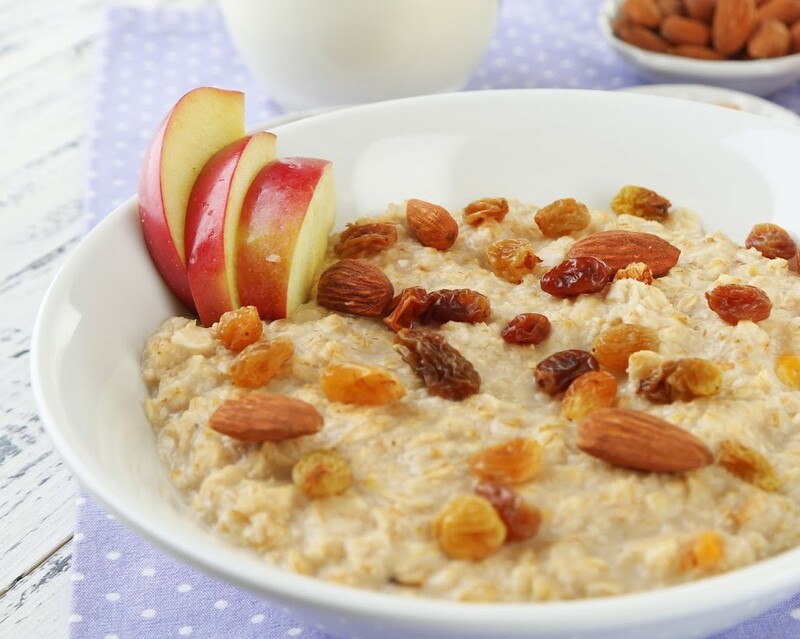 Pour the porridge into bowls and serve with the rest of the milk and a sprinkling of cinnamon or mixed spice. A quick, easy and absolutely delicious breakfast.